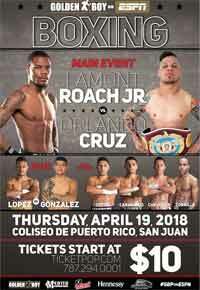 Review by AllTheBestFights.com: 2018-04-19, pretty boring fight between Lamont Roach and Orlando Cruz: it gets two stars. The undefeated Lamont Roach entered this fight with a perfect boxing record of 16-0-0 (6 knockouts) and he is ranked as the No.67 super featherweight in the world. He fought four times last year winning over Alejandro Valdez, Jesus A Valdez, Luis Hinojosa and Rey Perez. His opponent, Orlando Cruz, has a record of 25-6-1 (13 knockouts) and he entered as the No.67 lightweight but he comes off two conecutive losses: with Jose lopez in 2017 and Terry Flanagan in 2016 (Terry Flanagan vs Orlando Cruz); before this bout he had beat Gabino Cota. Roach vs Cruz is the main event of the evening. Watch the video and rate this fight! Review: 2013-10-12, some good exchanges and a good finish: Orlando Salido vs Orlando Cruz gets three stars. Orlando Salido (39-12-2, 27 KOs) entered as the No.2 featherweight in the world while Orlando Cruz (20-2-1, 10 KOs) entered as the No.40. Salido vs Cruz is valid for the vacant WBO featherweight title; undercard of Timothy Bradley vs Juan Manuel Marquez. Watch the video! 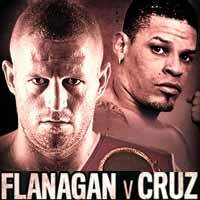 Review: 2013-03-15, good fight with four knockdowns: Orlando Cruz vs Aalan Martinez gets three stars. Orlando Cruz ranked as the No.34 featherweight in the world, entered the fight with a record of 19-2-1 while Aalan Martinez had a record of 14-1-1. Cruz vs Martinez is valid for the WBO Latino featherweight title. Watch the video! 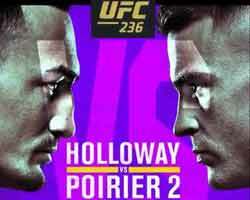 Review: 2012-10-19, pretty good fight between Orlando Cruz and Jorge Pazos but it is not enough to get three stars. Orlando Cruz ranked as the No.37 featherweight in the world, entered the fight with a record of 18-2-1 while Jorge Pazos had a record of 20-4-0. Cruz vs Pazos is valid for the WBO Latino featherweight title; on October 4, 2012, Cruz became the first boxer to come out as gay while still active professionally. Watch the video!